Before becoming president of the SFA, Mr. Kafarakis was chief innovation and member advancement officer at the National Restaurant Association. During his long career as an executive in the global food and beverage business, he held leadership positions at McCormick & Co., Cargill, Jones Dairy Farm, Kraft, and Oscar Meyer Foods. He has also served on the board of Meals on Wheels. 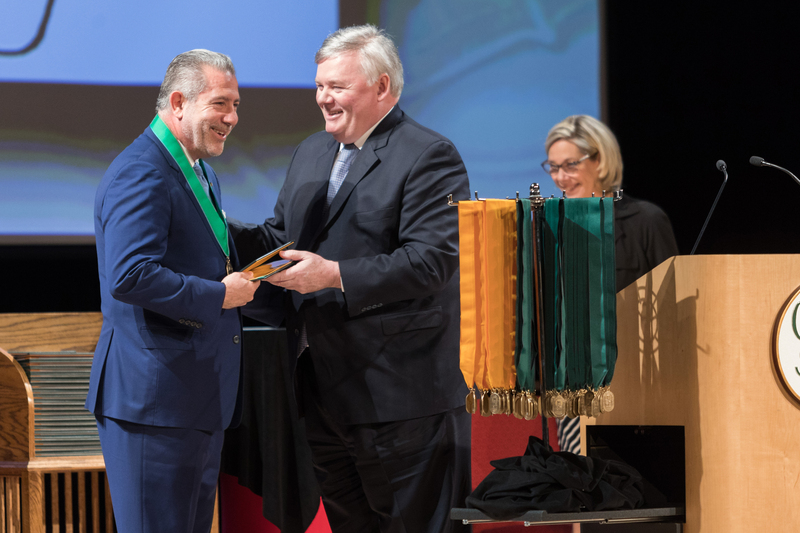 The entire CIA commencement ceremony, including Mr. Kafarakis’s address to recipients of associate degrees in Culinary Arts and Baking & Pastry Arts, can be seen online.